Matthew focuses his practice on white collar defense and internal investigations for a broad range of industries, with an emphasis on the energy and chemical sector. He is well-versed in complex electronic discovery and information governance issues, as well as domestic and international data privacy and information security practices. His diverse experience at the intersection of litigation, technology, and data management enable him to provide clients with comprehensive counsel proactively and in real time. Matthew draws on his vast litigation experience to help clients establish a defensible approach in the midst of a crisis. He understands the challenges clients face in a disaster, an investigation, or a data breach, and provides clients with uniquely tailored strategies for mitigation and response tactics. In addition, with a keen awareness of the enforcement landscape, Matthew assists clients with security and crisis preparedness. He works hand-in-hand with client management to develop simulations and drills to help identify and address gaps in procedures and protocols for emergent situations. He also advises clients on proactive litigation preparedness and information governance best practices, especially for those clients within highly regulated industries. He is highly experienced in knowledge management and counsels on processes for efficiently streamlining and organizing data. Matthew frequently speaks and authors articles on eDiscovery, information governance, privacy, and information security practices. 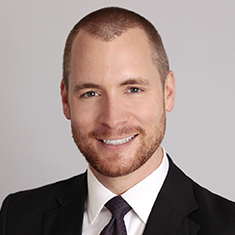 Matthew's pro bono work includes assisting nonprofit organizations with data privacy and information governance issues, as well as representing refugees seeking political asylum in the United States and clients with other immigration-related matters. Prior to joining the firm, Matthew represented clients in complex criminal and commercial litigation matters throughout all phases of investigations, trial and appellate proceedings, with a focus on environmental and energy-related litigation. During law school, Matthew served as a law clerk for the US Attorney's Office in the US Department of Justice. Shown below is a selection of Matthew’s engagements. Representation of leading health care provider in connection with data privacy compliance and information governance practices. Representation of a Fortune 100 financial institution in connection with information governance practices. Representation of a major oil field services provider in connection with the criminal investigation of the April 2010 Deepwater Horizon oil spill. Representation of an international oil services company in a multibillion-dollar MDL proceeding—MDL-2179, In re Oil Spill by the Oil Rig "Deepwater Horizon" on April 20, 2010 (E.D. La.—Judge Barbier). Representation of the chief financial officer of a public company under investigation for accounting fraud and manipulation of financial statements and SEC filings. Representation of high-profile, public clients in connection with a DOJ investigation into the September 2013 lane closures on the George Washington Bridge involving New Jersey Governor Chris Christie's administration. Representation of a major energy company in connection with an SEC investigation into alleged fraudulent accounting and reporting practices. Internal investigation for a multi-national aerospace company regarding suspected violations of the FCPA. Provision of advice to a major European energy company on domestic and international data privacy compliance issues for purposes of establishing a new domestic presence. Provision of advice to an international client on domestic and international data privacy compliance issues in connection with expansion into Europe. Provision of assistance to a major international oil field services provider in the revision and update of its corporate governance and compliance policies and procedures. Provision of assistance to a multinational bank in the revision and update of its information governance compliance policies and procedures. Representation of a major international oil services company in a multimillion-dollar environmental cleanup proceeding arising under CERCLA and RCRA.